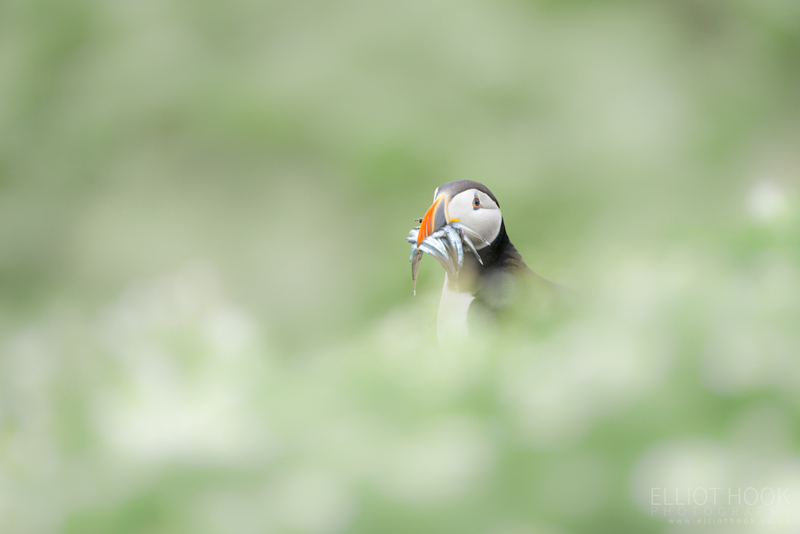 I’ve got another overnight stay on Skomer island booked in a few days time and, having stayed there twice previously, I thought it a good idea to revisit the images I took from my 2015 trip, as well as look at my puffin portfolio overall, to help shape my ideas for images for the forthcoming trip. 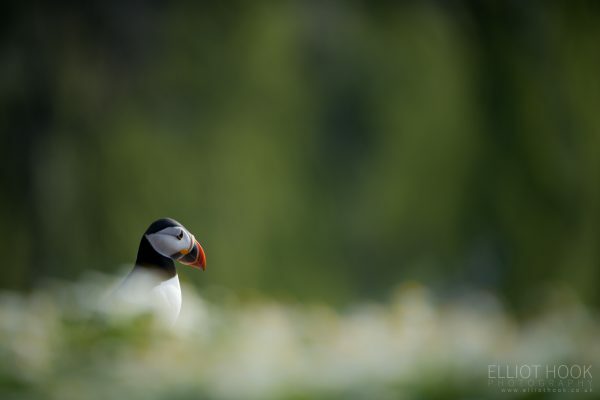 Looking at images in this way is a useful exercise as it helps you identify trends in the images you’ve taken to identify certain styles of images to either focus on or avoid as well as to remember any mistakes/issues to avoid when shooting the same subject at the same location. 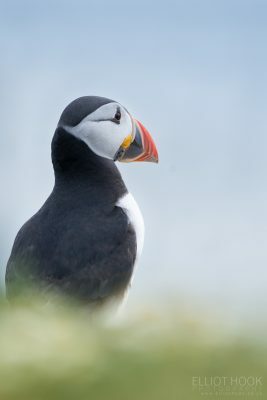 It also occurred to me that my puffin gallery hasn’t been updated to include images from my 2015 trip, so I thought I’d share them here as part of my own review of my images. I didn’t capture many “different” images during the 2015 trip, it was mainly portraits of single birds. 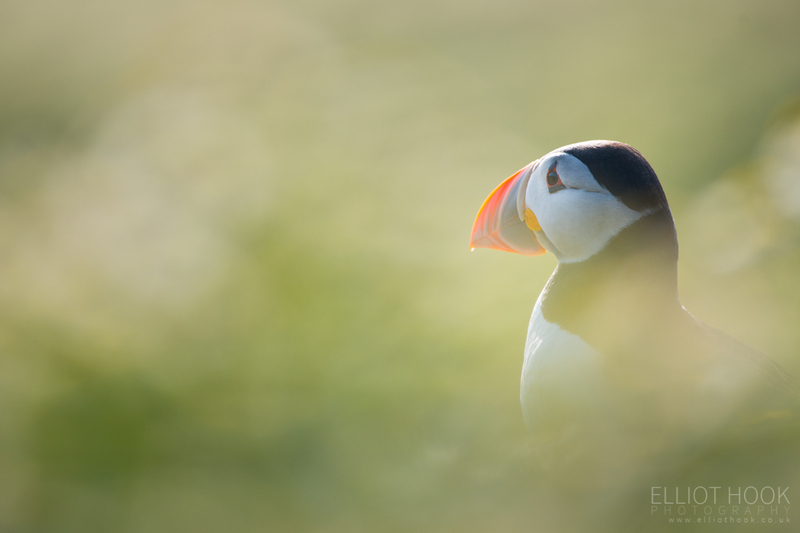 I didn’t try any birds-in-flight, as they’re such incredibly quick birds and I wasn’t using the kit to maximise success, so I directed my efforts to where I thought I stood a better chance of coming away with good results. 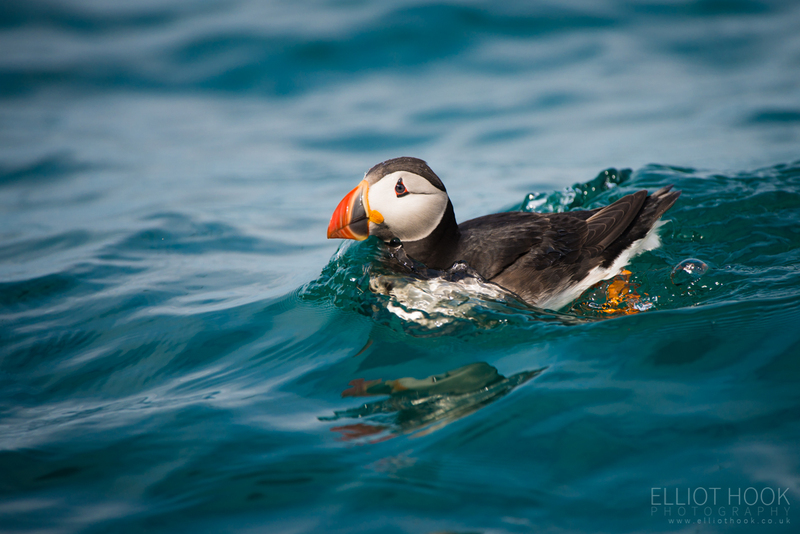 One image I was happy with was the one below of the rafting puffin. 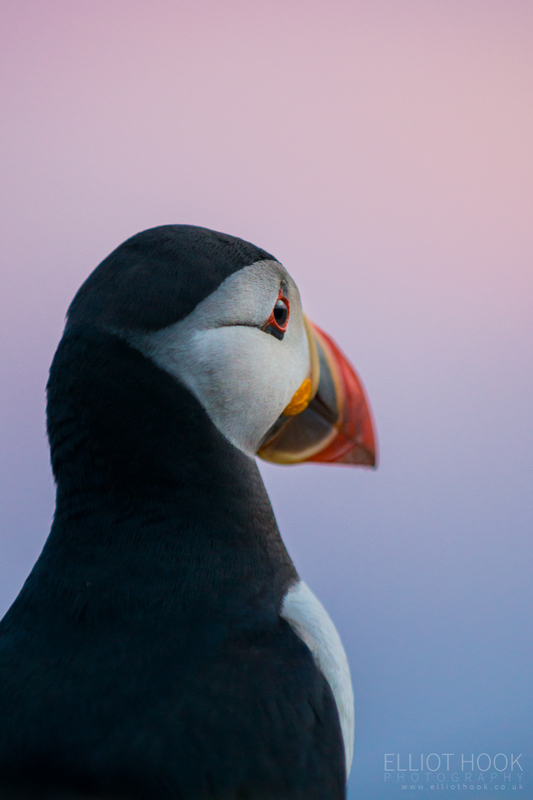 This was taken on a Monday, when there are no day-trippers on the island, in the late afternoon sun down by the landing stage. Anything taken before 7pm looks really ‘day-time-y’ compared to anything taken from 7pm through to sunset. 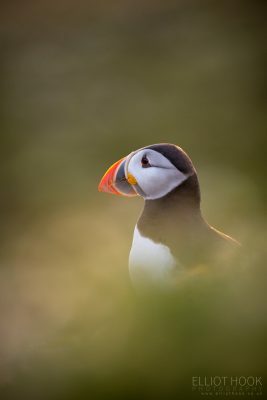 When you get to the Wick and there are puffins everywhere, it’s easy to get trigger happy and fill memory cards; but it’s worth remembering to making use of the best use of the light and think about alternative images when the light isn’t as good. Blinking puffins ruin many shots. They seem to instinctively know to blink when you press the shutter, so always worth capturing a second image in quick succession just to make sure. I must try to capture more interactions between birds (rather than just individual portraits), more puffins in flight and some wider aspect portraits. 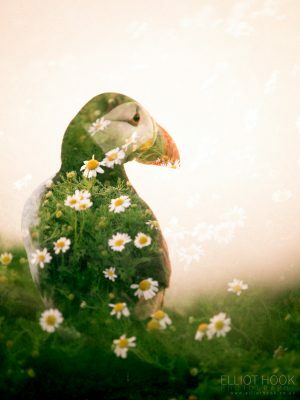 If I remember these points when out on Skomer, I should come back with images that increase the breadth of style of my puffin portfolio – it would be disappointing to forget this and just come back with more of the same. 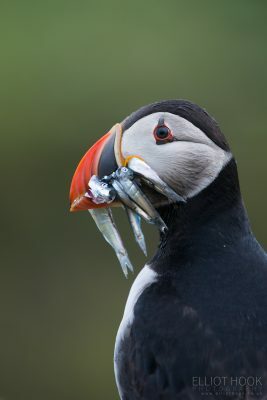 And hopefully, I’ll actually update my puffin gallery with these images in a more timely fashion that after the last trip! Just hope the weather plays ball now.